The zit had a life of its own. A big gooey yellow mess growing on my chin and it was reproducing itself. Several offspring were coming of age in all their pimply glory. I was aghast and trying to keep the ugliness hidden, with my head tilted downward and my eyes fixated on a book. Lost inside myself I wasn’t even seeing the words as I poked along in a fantasyland where acne, pain and emotional chaos did not exist. It was September 1969. My fourteenth birthday was on a near horizon and grade nine was turning itself into a nightmare threatening to consume me. On a bus full of fellow students I was all alone, sitting beneath a tinny sounding speaker vaguely listening to a commercial for some long forgotten product. 1050 CHUM returned to its playlist. Without an introduction the disc jockey spun a record that shattered the borders of my daydream. A gunshot drumbeat followed by a swirling invasion of sound jerked me into a world of lyrical wonder. “Once upon a time . . .” That voice, so edgy and imbued with a living wildness, was a razor-blade slashing its way to my core. The story, populated by a mysterious and magical cast of characters, was a tightly woven tapestry that draped itself around me to smother angst with defiance. In six minutes the hook-line refrain sank its fingers deep into my brain and would not release the grip: “How does it feel? How does it feel?” I had to know everything about the artist, and the first thing I learned was that Like A Rolling Stone had been in the air since 1965, but it was a brand new revelation for me. A few weeks earlier I’d discovered Big John Cash for myself and then, on a clear blue autumn afternoon, Bob Dylan was a stunning epiphany—unbeknownst to me inside that moment, the pair were destined to become lifelong traveling companions. In the late seventies Dylan checked out the basic tenets of Christianity for himself and in doing so, he arrived at an interesting state of enlightenment. In the song Gotta Serve Somebody, he detailed a rather inclusive list of occupations, fashion fads and stations in life, then concluded that there were no exceptions for anyone. I happen to agree with the poet’s reasoned observation. All through the years Dylan’s faith-journey and the minutia of his life has been the subject of scrutiny. Self-proclaimed experts and arm chair readers of tea leaves see transgressions or abandonment of faith in each little snippet of information parlayed in the press. A word to those who demand definitive answers from him or want to sit in judgment: Like each of us, Dylan’s faith is between him and his Maker, and it meets reality in the caverns of his heart. His music is deeply spiritual and always has been for me, even before and after the highly hyped trilogy of evangelical albums. The songs speak to the deepest part of who I am, oft-times forcing me to face-down prickly questions; listening to a mix of his work enriches my meditative life immensely. 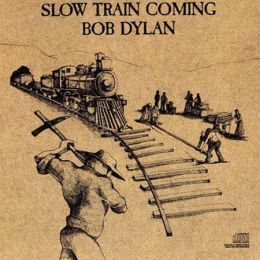 Evidently the slow train is on the tracks to go the distance. The years and miles have done nothing to erode or diminish his creativity. 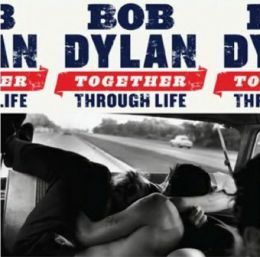 2009’s Together Through Life rang the bell at the top of the Billboard 200 in the U.S. That fact made Dylan the oldest artist ever to debut at number one. There are no apocalyptic musings on this gem, but rather, carefully crafted songs about ordinary people’s lusts and heartaches. Very bluesy stuff, with rollicking bar-band guitar licks accentuating snickering accordion riffs on most tunes. That’s the truth and perhaps always has been. When know-nothings or smart-alecky Philistines make snide remarks about the coarseness of his voice, I merely smile to myself because genius always has its uniqueness. 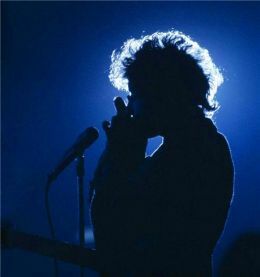 Many performers spend years taking lessons and classes to be taught how to convey the empathy and emotion that drips off Dylan’s voice with a spontaneous ease. 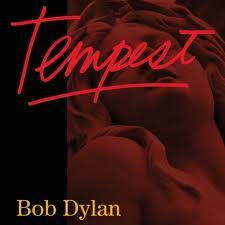 Tempest, released on September 11, 2012, was well-received by contemporary critics and heralded by fans. Rolling Stone gave it five stars and named it the number four album of the year. The playlist reveals an exceptional storyteller in top form, expertly revisiting brilliance again and again. Dylan is biting and eloquent from the upbeat opening Duquesne Whistle, to the closing tribute to John Lennon, Roll On John. Lyrics that are dark and brooding permeate the album. Tin Angel is a singular jewel. A Shakespearean tragedy spun in nine minutes—love, betrayal, murder and suicide in forthright phrasing delivered remorselessly. No songwriter has ever wed words and notes together more richly than Dylan. Into the second decade of the twenty-first century he continues to be a force of nature. Bob Dylan has been called a multitude of things by many different people; he has worn a variety of masks. He is a Pulitzer Prize winner and cultural icon; he has been inducted into the Rock and Roll Hall of Fame, the Nashville Songwriters Hall of Fame and the Songwriters Hall of Fame. Rock bottom low points and triumphant milestones in my life can be marked by his discography. He’s always rapping at my door like the vagabond from It’s All Over Now, Baby Blue. Though I have never met the man face to face, I certainly have a friendship with his music. After all the miles of ups and downs it’s amusing that it all began on a day when I was heading home from school to harvest a bumper crop of pimples. How does it feel? Nearly fifty years later it feels just fine, thank you very much. 1 Response to How Does It Feel?